Welcome to the Robinson Fence Company profile. 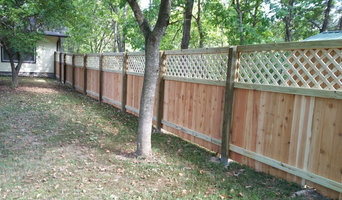 As you explore our pages and learn about our company, we hope to become your fencing company. With over 38 years of experience serving Springfield and Southwest Missouri, we are well qualified to meet your fencing needs. We also service the Dallas Metro area out of our Dallas branch office for commercial applications. We are located at 906 W. Chestnut Street in Springfield, Missouri. You may call our office for a free estimate at 417.862.8900 / fax 417.862.6827, contact us online, or get an instant online estimate. Or contact our Dallas / Fort Worth, Texas office directly at 469.773.4669 / fax 817.764.1994 for commercial inquiries. We accept cash, check, or major credit cards. Robinson Fence is certified with the American Fence Association. Thank you for your interest in our company. 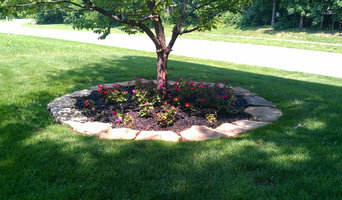 Edged in Stone is available for all of your stonework, landscape, and cleaning needs. 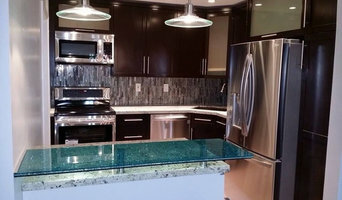 Serving the Roger area with prompt quality service and competitive rates. Give us a call for a free estimate! Yard Dawg serves the Berryville area for all your landscaping needs. Whether you want to keep your children and pets safe in the garden or get a little more privacy from your neighbors, fencing is important from both an aesthetic and security standpoint, so you definitely want your Hurley, MO fence installation done right. 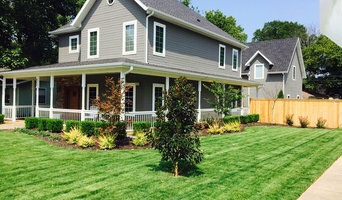 When browsing Hurley fence installers on Houzz, look for an experienced professional who has completed projects similar to yours and can provide insight and suggestions on materials and fence designs. Research your options prior to talking with a fence installer in Hurley, MO as you’ll have a better idea of what you want and need. Additionally, put together a Houzz ideabook with fence styles and designs that you want — this will help your professional turn your vision into a reality.